Inside the unhappy reign of Sisi, Empress of Austria and Queen of Hungary. 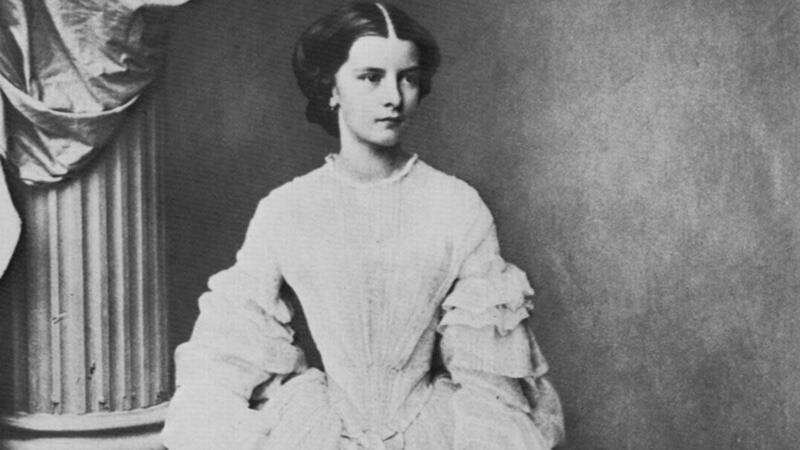 On April 25, 1854, a shy and melancholy bride married into a major European royal house. Trembling and overcome with emotion, 16-year-old Elisabeth, known by her childhood nickname Sisi, was wed to the 23-year-old Emperor Franz Joseph of Austria, the absolute monarch of the largest empire in Europe outside of Russia. During the wedding festivities, thousands lined Vienna’s streets, eager to catch a glimpse of the new teenage empress. 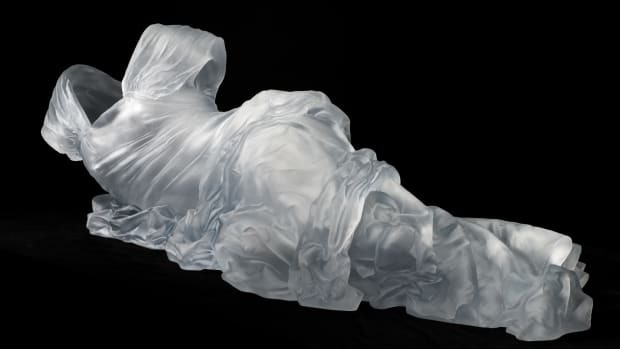 But in her glass coach on the way to her new home in the sprawling Hofburg imperial palace, Sisi sobbed—overwhelmed and afraid. This unusual entrance into public life was one in a string of tragedies that marked Sisi’s reign, placing her within a long line of reluctant royal consorts trapped in gilded cages. Isolated in the palace, she suffered through mental illness, mourned her beloved son’s suicide and set off to wander the globe in search of peace—all before her assassination at the hand of an Italian anarchist. With her ambivalence to public duties and reluctance to marry, the young bride recalled another royal born at the Hofburg almost exactly 100 years before, Marie Antoinette. But unlike the excesses of Marie Antoinette, the aloof Sisi would spend her life denying her own appetites. 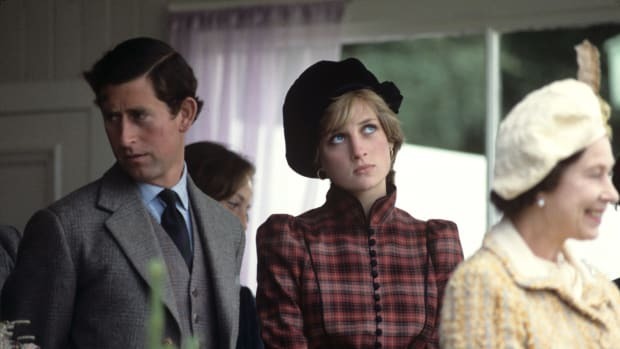 Stalked by the press, adored by the common man and bedeviled by depression and a severe eating disorder, Sisi’s royal career also brings to mind Princess Diana, whose life ended similarly tragically a century later. Born in 1837 in Munich, Germany, Sisi grew up playing in the Bavarian forests with her seven brothers and sisters, riding horses and climbing mountains. From her eccentric father, Duke Maximilian Joseph, she inherited a belief in progressive democratic ideals and pacifism, uncommon for royalty at the time. 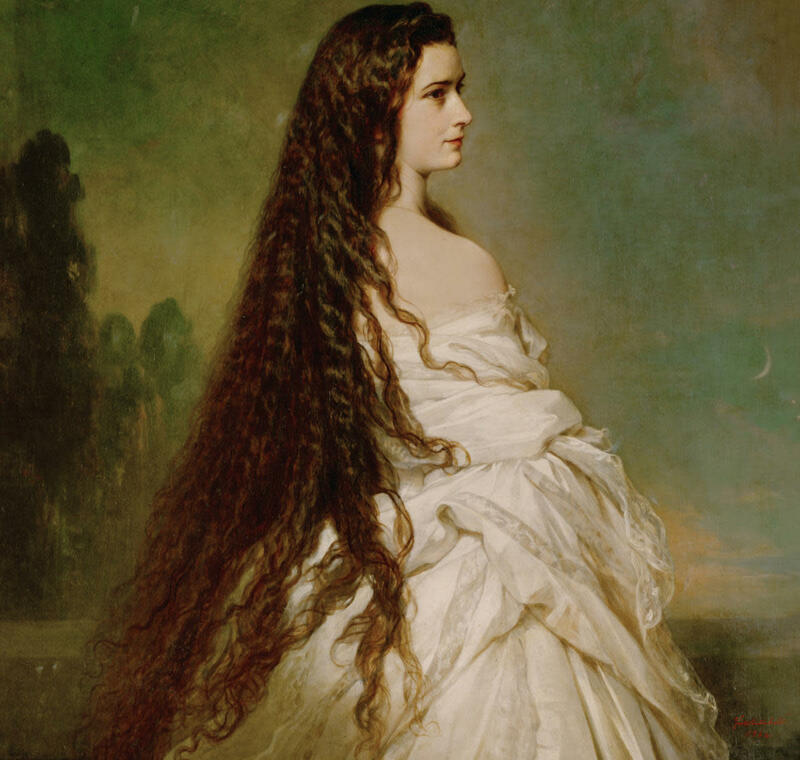 From her hands-on mother, Princess Ludovika, she developed a love of privacy and a fear of public duties—traits that would not serve her well as empress. Sisi’s husband, Franz Joseph, was hardworking and loved her, but had little imagination or humor. The new couple’s mothers (who were also sisters) had intended for the handsome 23-year-old emperor to marry Sisi’s sophisticated older sister, but Franz Joseph had been captivated by the slight Sisi from the moment he saw her. Sisi, on the other hand, was so nervous during the courtship that she was unable to eat. The situation did not improve as she settled into her new reality. Shy and unsure, Sisi crumbled under the strict court etiquette, which left her isolated and friendless. 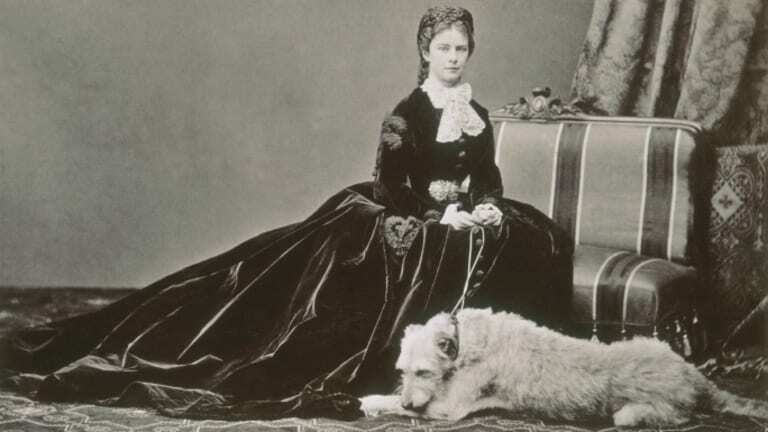 She bore Franz Joseph three children during the first four years of their marriage, but only two— Crown Prince Rudolf and Archduchess Gisela—survived past infancy. 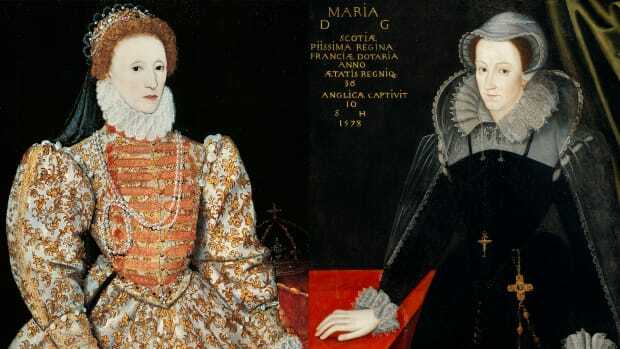 Her melancholy and distaste for public life was treated as a childish indulgence by her distracted husband and his mother, the formidable Archduchess Sophie. Though outwardly cynical, Sisi was as fixated with her beauty as the public was. Hours were spent maintaining her looks—three hours a day of hairdressing, and an hour to cinch her famed 19.5-inch waist. Obsessed with her figure, Sisi lived on a strict diet and fanatical exercise routine that would likely be interpreted as symptoms of anorexia today. She survived for a time on only thin broth, while in later years she subsisted almost exclusively on raw milk (traveling with her own cow), oranges and eggs. When I saw her, she was just raising herself on the hand-rings. She wore a black silk dress with a long train, hemmed with magnificent ostrich feathers. I had never before seen her so imposing. Hanging on the ropes, she made a fantastic impression, like a creature somewhere between snake and bird. With chains on my hands. Early in her reign, Sisi developed a deep interest in Hungary, then a rebellious part of her husband’s empire. She believed the Hungarian people deserved greater freedoms and respect, and collaborated with her close friend, the dashing Hungarian statesman Gyula Andrássy, to advance the Hungarian cause. She further alienated the Viennese aristocracy by filling her personal staff with Hungarian nationals. In 1867, Hungary became an equal partner in the Austro-Hungarian empire. Franz Joseph was crowned King of Hungary and Sisi became queen. 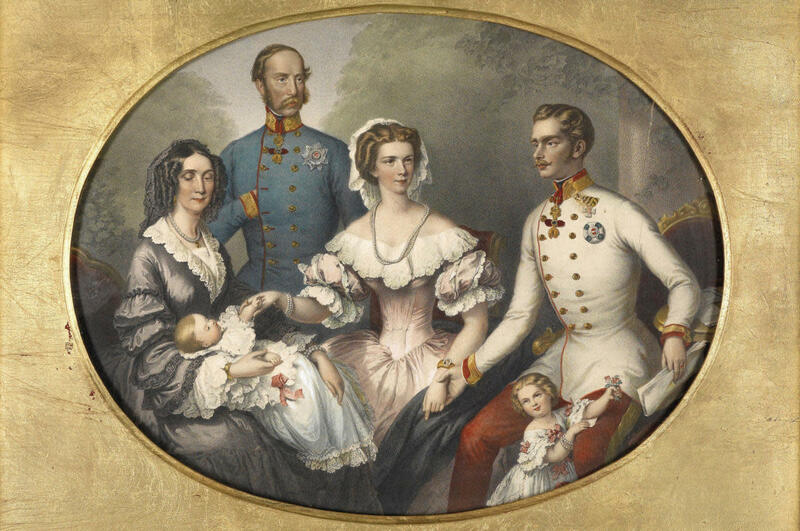 Hungarians were given new freedoms, and Franz Joseph was allowed back into the royal bed (the couple’s last child, Marie Valerie, was born in Budapest in 1868). For her part in the Austro-Hungarian Compromise of 1867, Sisi was beloved by the Hungarian people. By the 1880s, it was clear Sisi was suffering from a serious mental illness herself. Marie Valerie, the one child on whom Sisi doted, wrote of finding her mother laughing hysterically in a bathtub. 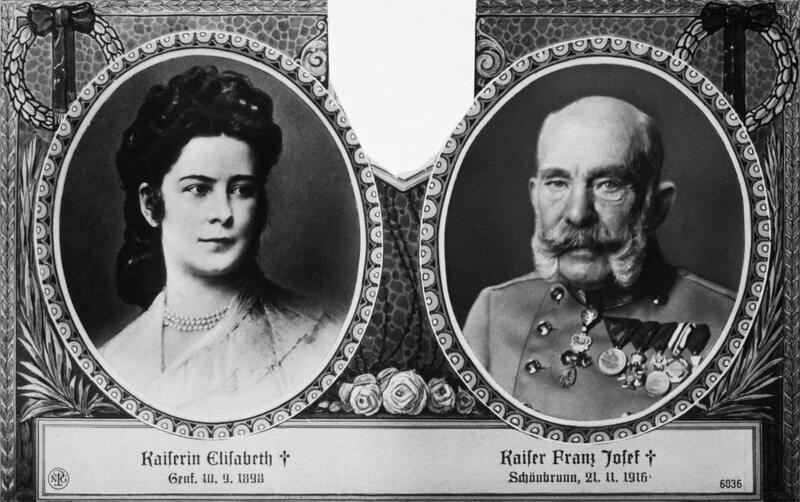 The empress frequently spoke of suicide to a terrified Franz Joseph, and turned to mediums and psychics to help cure her mental anguish. In 1889, her beloved son, Crown Prince Rudolf, was found dead with his 17-year-old mistress, Mary Vetsera, at the Mayerling hunting lodge, sending Sisi into a steep decline. Though both Rudolf and Vetsera left behind notes, the circumstances surrounding their deaths remained a mystery; rumors of a double murder persisted. It was initially thought Vetsera poisoned Rudolf before killing herself, though it was later determined that Rudolf shot both of them in a murder-suicide pact, a conclusion that only deepened Sisi’s sadness. And so, Sisi wandered. 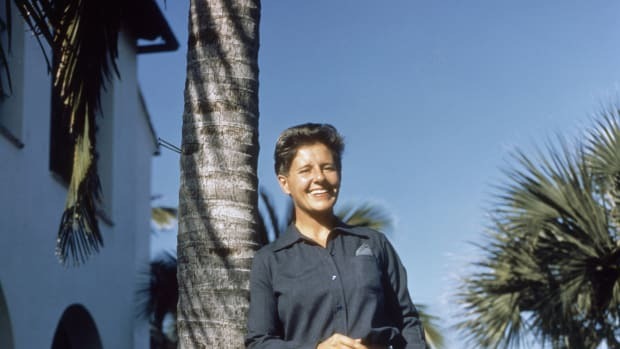 With her weight plummeting and dressed in mourning black, she traveled aimlessly across the continent and North Africa, refusing police protection, longing for death, determined to “travel the whole world over…until I drown and am forgotten.” At the age of 51, she got a tattoo of an anchor on her arm. 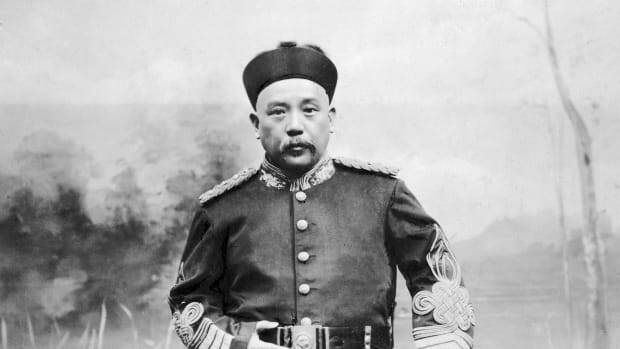 As news of the empress’s arrival leaked, Lucheni found out the prince had cancelled his trip. So he approached Sisi as she walked along a dock to board a ship, attacking her with a small triangular file. After the blow to her chest, Sisi stood up thinking she had been punched, but collapsed shortly after boarding the ship. In fact, Lucheni had stabbed her. Though medical help was called, Sisi soon died of internal bleeding.